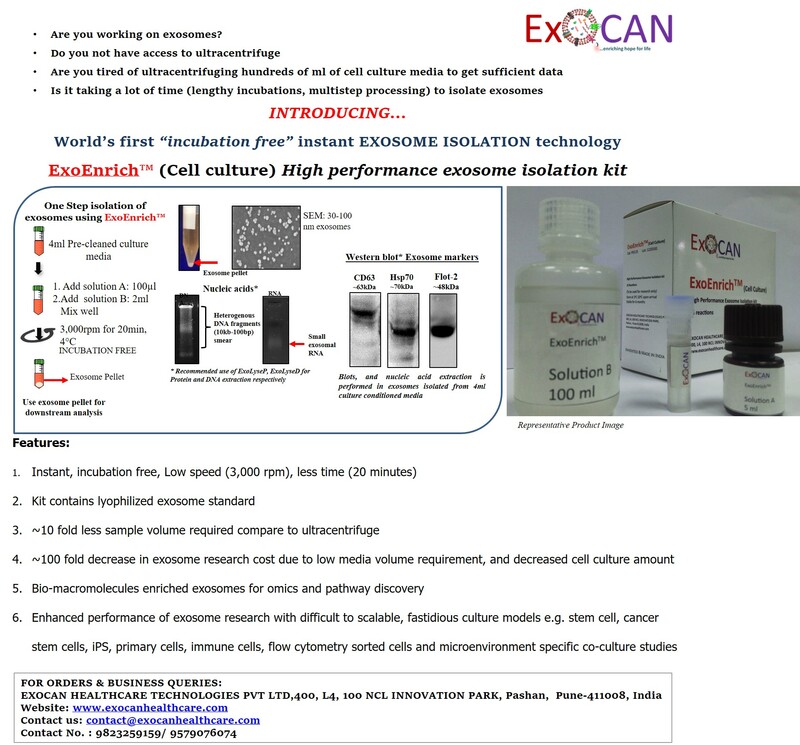 This is a high performance exosome isolation kit from biofluid samples. It allows high efficiency capture and purification of bio macromolecules containing exosomes from various bio fluids e.g cell culture media, urine, saliva, serum. The isolated exosomes are compatible for downstream analysis of proteins (western blotting), DNA, RNA (PCR), and other cargo molecules captured inside exosomes e.g. lipids, metabolites etc.